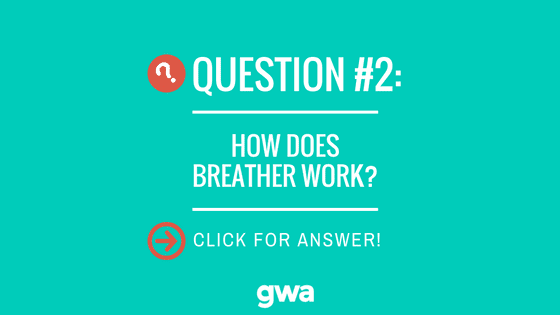 Q&A #2: How does Breather Work? Question: How does Breather Work? I had the pleasure of being in the audience for Julien Smith’s keynote at the NAOIP “Office Con” in LA on November 1st. I had heard about Breather and assumed it was a technology platform that matched users with flexible shared space. Well, sort of. Julien’s drive follows the cliche storyline of man innovating to solve personal problem. Julien constantly found himself in need of very short-term, “disposable” space where he could focus and be productive. On the road constantly, he wanted nothing to do with a long-term relationship with real estate. So he conceived of Breather...which is a platform, but more than just technology. The company generally takes the liability for physical spaces. They have over 250 in the US and are about to expand globally. He said it took them 100 weeks to launch their first 100 spaces and then 100 days to launch their second 200. The company leases nooks and crannies in buildings that are typically overlooked/underutilized or simply not leveraged by the manager/owner because they’re too small to attract long-term tenants - 3-5 year leases are still the core model for commercial real estate. Now the “nooks” might be 2,000 square feet and the “crannies” might be a 100 square foot broom closet. (The closet had a window...they saw potential). The Breather team outfits the spaces with beautiful, high-end furniture, often donated by rising star designers. A breather client never encounters another breather client - there’s a buffer between each reservation, allowing time for a cleaning staff to run through the space to return it to a state of perfection. The real estate team is signing up to 10 leases a week - their ambition is to surpass Starbucks in number of locations in Manhattan. They indicated they prefer the revenue-share model and enter joint ventures when possible. Their clients are mostly corporate - “spillover” meetings for clients already in a building with a Breather space or client meetings and offsites. But anyone can book a Breather space. They are currently operating in Boston, LA, NYC, Chicago, Washington, DC, Toronto, Montreal and London. What flexible space options should I consider for my building?